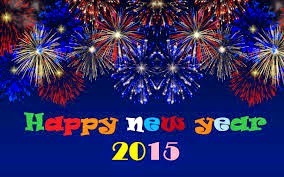 Happy New Year and welcome to 2015. 2014 has been a year of great achievements but also a year of great challenges. This last Sunday, our media team replayed some of the major events we had throughout the year and I could not believe what the Lord has done in our church. Indeed it was a great year. At our church we saw both Spiritual and numerical growth as a church. Indeed God has been very good to us and He deserves our praise. On my personal level I cannot believe the number of trips that I had throughout the year. What a blessing! For many of you know that I started school with Fuller Theological Seminary, I cannot believe that I have already finished one year and a quarter. Two of our children finished high school and now going to university, that shows that we are growing older; and this week on 8th Irene and I are celebrating 20 years in marriage. God has been so good. Looking at 2015, we felt as a church that God is speaking to us that the time to see God’s hand at work is now and the scripture He gave us is Ephesians 5:15-19. What you can do today, don’t do it tomorrow; what you can begin today, don’t wait for tomorrow. The Psalmist wrote in Psalms 39:4; he asked the Lord that He may learn the number of his days and as we all know God doesn’t tell us the number of days we have, but every day He gives us today. Today you need to live for God. Today you need to abandon the sin that has been binding you. Today you need to share your faith with that friend, your neighbor, that work met of yours; Today is the day to start on that project you have been postponing every time. Today is the day you need to put more minutes in prayer and to read more chapters in the bible. 2015 is going to be a year where those who believe God will take bold steps and act on what they believe. Yes we need to pray but when you feel God is leading you to act, then act on what you believe. I believe this is the year to get out of the boat and act. Yes there will be waves and wind but He says in his word; the just shall live by faith. Do not look at the storm or waves, look at Him who commanded the storm to calm. What this means is that some of you need to plant a church, others God may be calling you to start a certain kind of ministry and others it may be business.